A winery on a roll + a great vintage for the Yarra = smiles all round. What a delicious sub $30 wine this is too. Tomato juice meets plum, with a lick of bacon and a suggestion of vanilla. Ripe year, and a generous ‘Valley Floor’ style, the flavours round and full, the acid soft with just a little stem tannin on the finish. 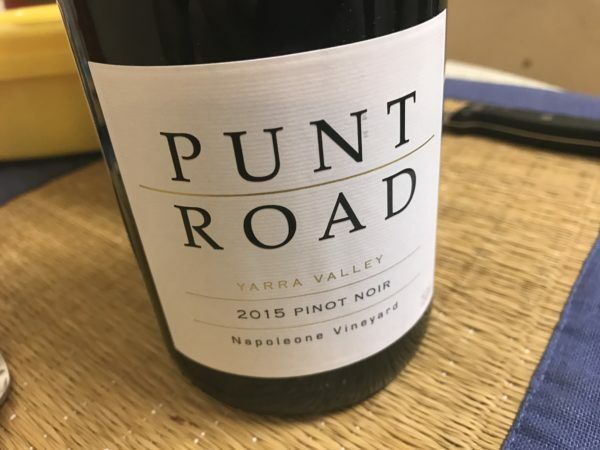 Pretty much everything you’d want in a sub $30 Yarra Pinot really. So generous and full and yet retains a hint of spicy wildness on the finish. Not profound but utterly delicious in every. Joyful ripe flavours, but more than that. Intensity far above the pricepoint. Yes! Best drinking: 2017-2021. 13.5%, $29. 18/20, 93/100. Would I buy it? Sure would.